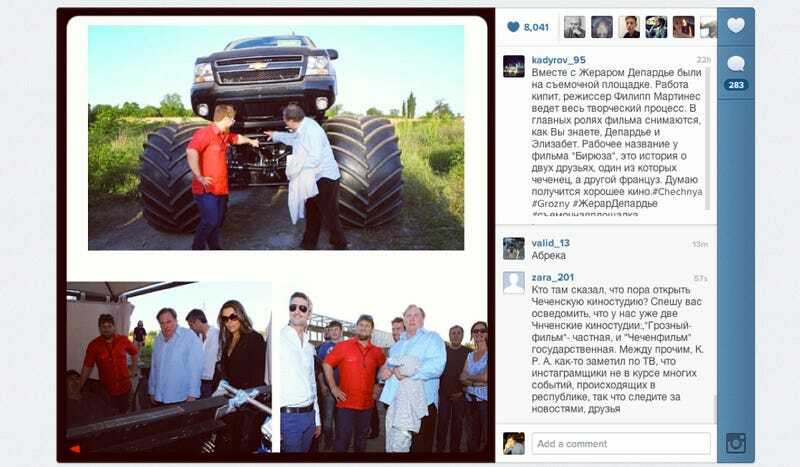 Chechen leader Ramzan Kadyrov has a pretty active Instagram account. Here he is with Gerard Depardieu and a monster truck on the set of a movie called Turquoise. Looks like fun. Kadyrov is a former Chechen Rebel and their current leader. I think of him a bit like a Junior version of Vladimir Putin. He isn't driving Renault F1 cars, but it seems like he enjoys doing crazy things, at least for a political leader.